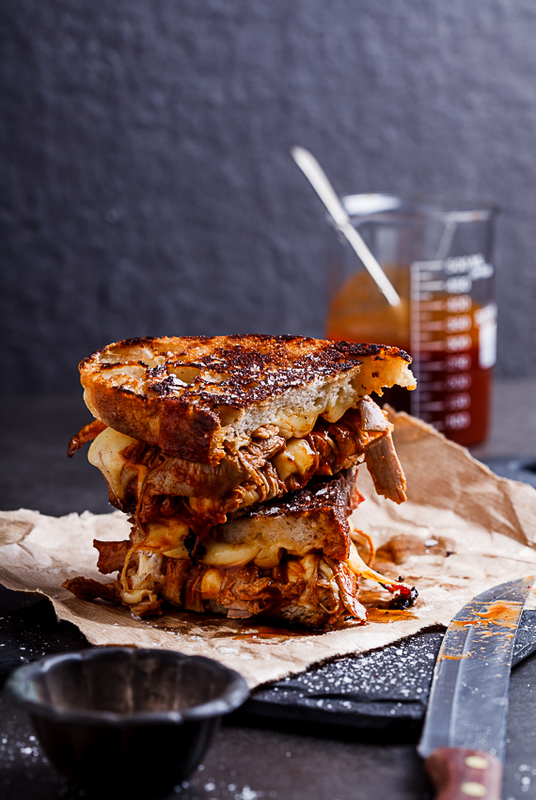 Divide the pulled pork between two of the ciabatta slices. Top with the cheese then sandwich the remaining bread. Butter the top and bottom of the sandwich then place in the pre-heated pan. Allow to cook for 3-4 minutes per side until the cheese has melted and the sandwich is golden brown and crisp on both sides. Remove from the pan and serve.